Craft beer’s far-out experimentation means that almost every Thanksgiving dish has had its beer equivalent. One of the coolest things about America’s ascent to over 6,000 breweries is that brewers are willing to take risks like never before. Nowadays, no ingredient, and therefore no flavor, is off-limits in the craft world – at least when it comes to a one-off experiment. That’s not to say these beers are going to be year-round releases, fan favorites or, occasionally, even enjoyable! But at least forward-thinking brewers are out there giving it a try. So even though pumpkin and spiced beers are the fall seasonal standards, in recent years, craft breweries big and (very) small have been pushing those boundaries, whipping up interesting brews with all sort of stuff that would make sense on a Thanksgiving dinner table. With that in mind, we set out to see if we could create an entire Thanksgiving feast entirely in beer form – and the results did not disappoint. Since both beer and bread are made out of grains, stuffing beers – though maybe a bit odd at first blush – are actually one of the more common styles that would work in a holiday feast. For the past two years, the Crooked Thumb Brewery in Safety Harbor, Florida, has made a Cornbread Stuffing Gruit. 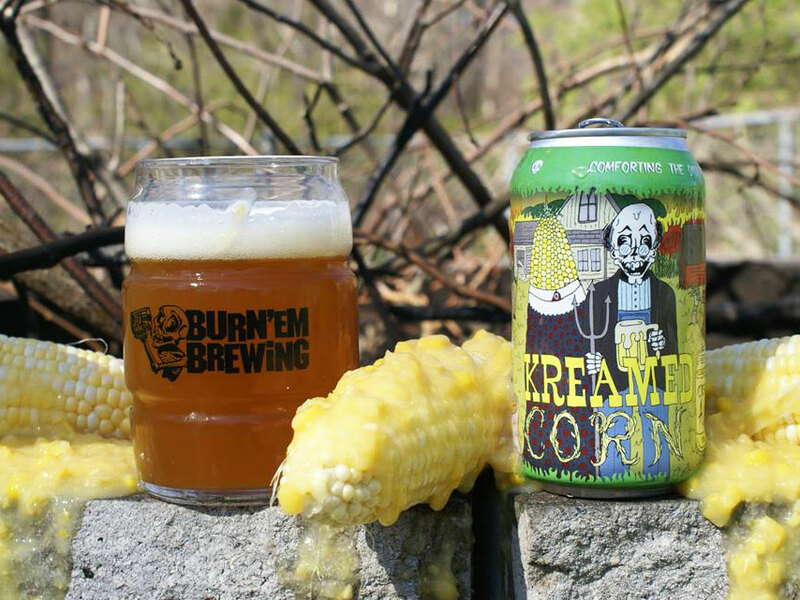 “This brew was a surprising fan favorite,” explains Crooked Thumb co-founder Travis Kruger. “Our head brewer Kenjiro Tomita came up with the idea of trying to emulate the flavors of his favorite dish at the table during Thanksgiving.” Gruit is a lesser-known beer style, but Tomita incorporated “the spices redolent of cornbread stuffing in place of some of the other more traditional roots and herbs” used in this type of beer. Oh, and for grocery store stuffing fans, at this year’s Great American Beer Festival, 3 Freaks Brewery from Highlands Ranch, Colorado, was serving up Adam’s F-ing Turkey Beer – a “turkey stuffing brown ale” made with Stove Top! Most major fruits find their way into beers on a regular basis and cranberries are no exception. 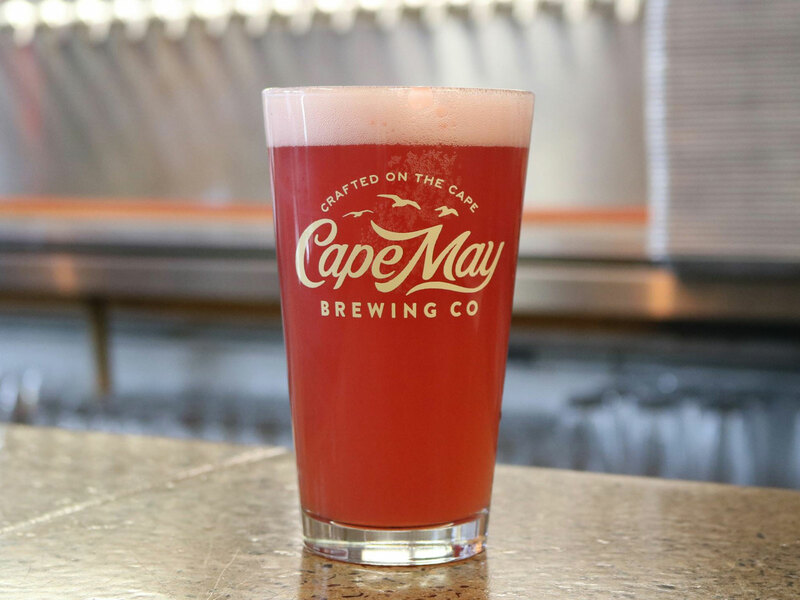 In fact, those looking for a “cranberry sauce”-named beer don’t have to venture any further than Chico, California-based craft brewing giant Sierra Nevada who earlier this year offered up a Cranberry Sauce Saison as a limited draft release. Meanwhile, another of the most traditional Thanksgiving sides, was extremely difficult to track down: Brussels sprouts. Only one example popped up from a small Canadian brewery called StoneHammer Brewing in Guelph, Ontario. Wurst Idea Ever Brussels Sprout Sour was a one-off experiment from way back in 2012, and the name might explain why other brewers haven’t delved into Brussels sprouts as an ingredient. Though the people behind that wild idea are no longer with the brewery, a current representative said that the next year, they went so far as to brew a beer called “Soury About Last Year” for the same event. Green beans are another vegetable that might seem like an odd addition to a beer, but a few breweries have given it go. For instance, back in 2014, Tornado Brewing Company in Menomonee Falls, Wisconsin, whipped up a Green Bean Lager. “Actually has a fresh green bean aftertaste,” remarked one positive Untappd review. 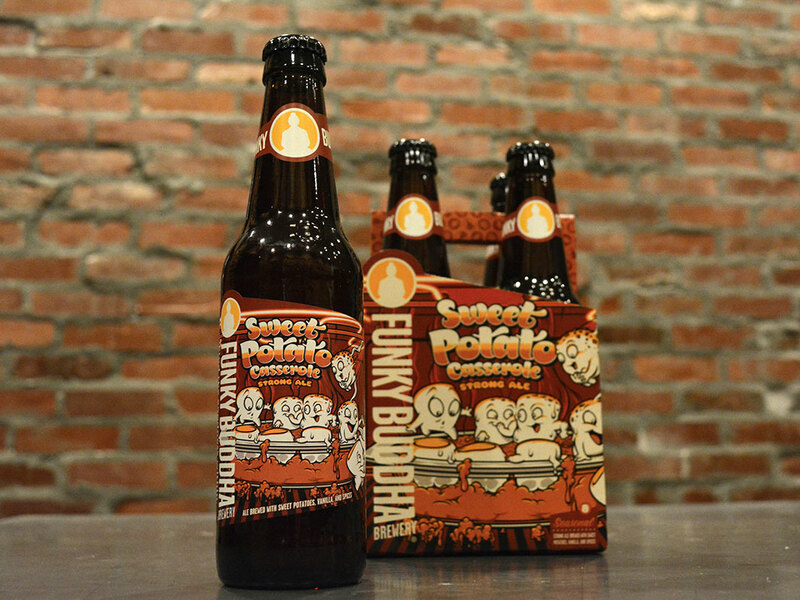 With their subtle sweetness, carrots are an intriguing experimental beer ingredient. Fonta Flora Brewery in Morganton, North Carolina, makes Alpha vs. Beta Carotene, an IPA aged on baby carrots. Brewer and co-founder Todd Steven Boera says he was inspired “shredding carrots one night for supper while drinking Hop Beard, our flagship IPA. The sweet, earthy, almost coconut aroma of the carrot played so well with the tropical-forward hops. We have been making Alpha vs. Beta Carotene seasonally ever since.” As for drinking it during the holidays, “This beer certainly pairs perfectly with a Thanksgiving feast,” he adds. For dessert, beer substitutions are a gimme. The brewing world has plenty of beers like Pecan Pie Porter, an annual release from Clown Shoes Beer in Ipswich, Massachusetts, or Pumpkin Pie Lust, a pumpkin weisse from the New Glarus Brewing Company in New Glarus, Wisconsin. It’s really comes down to picking your poison. Of all the items served at Thanksgiving, the main was definitely the hardest to hunt down. In general, poultry isn’t a common brewing ingredient. It’s expensive and doesn’t really add anything fermentable. But brewing with birds does happen. Earlier this year, Richmond, Virigina’s The Veil Brewing and Brooklyn, New York’s Evil Twin Brewing collaborated on Fried Fried Chicken Chicken, a double IPA made with actual Chick-fil-A chicken tenders. As for a beer made with actual turkey, though the pure number of beers out there leads us to think someone has tried it, unfortunately, we couldn’t hunt down an example. Could this be the one area where craft brewers have yet to experiment? If not, hopefully someone will let us know for next year’s all-beer Thanksgiving.